Ok, let's review your Christmas shopping list: Perfume for mom, scarf for dad, watch for hubby and a few toys for the kids. Oh, there's also that secret Santa gift for the office gift swap. Wow! You're going to be so broke after the holidays are over! Well, you don't have to be if you are smart about it. 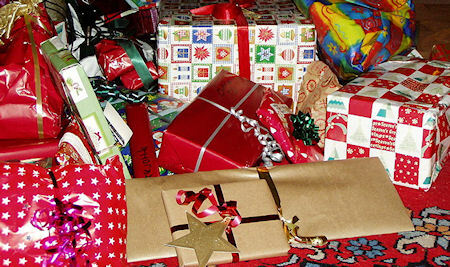 Instead of squandering your money on extravagant gifts this year, how about you try these tips? Not only will they save you loads of money, they will also let your loved ones know that you care.